This second book in the Ohio 4-H robotics series guides youth through new robot configurations and programming challenges. General information about the Ohio 4-H program is on our robotics web page. 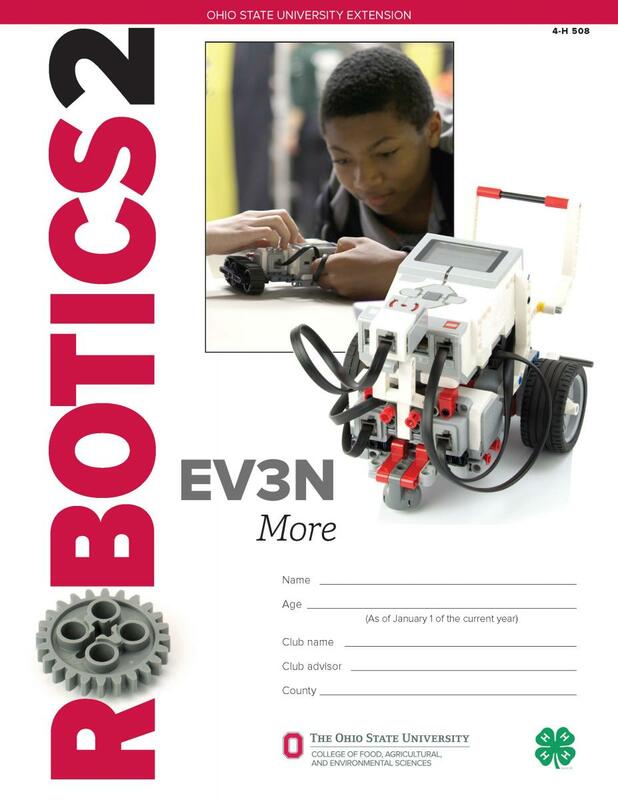 These files and videos are for members and others taking the Robotics 2: EV3N More project. Activity 3: What Kind of a World Do We Live In?